Opera Manhattan Repertory Theatre, New York's “company for artists by artists”, continues its annual tradition of the children’s classic Hansel and Gretel. This new, interactive and delightfully scary production opens December 23 at the Acorn Theatre. Children ages 7 and up can take part in the show on stage during the performance, meet Hansel and Gretel themselves, and might even get to throw snowballs at the Witch. Each show will start with a brief presentation designed for kids and their parents about Hansel and Gretel. They'll be introduced to the characters and story, some of the memorable tunes they can join in singing, when to applaud, and when and how to say “Bravo!” and “Brava!”. Director Beth Greenberg, known for her “sure theatrical hand” according to Opera News, has created an inventive production that incorporates enough of the darkness and playfulness of the original Grimm fairy tale and to delight kids of all ages. “Kids love to be frightened, they love excitement, and they love music. They won't go away disappointed!” says Greenberg, who has directed operas both traditional and new for high-profile opera companies including New York City Opera. To take advantage of discounts, visit: www.broadwayoffers.com or call 212-947-8844. Code "TRFUN25" -- $25 tickets no expiration date! The Acorn Theatre is located on Theatre Row at 410 West 42nd St.
Opera Manhattan Repertory Theatre’s mission is to empower emerging artists, encourage creative thinking, and develop business-minded artists by creating opportunities for artists to produce operas themselves—a company for artists by artists. For further information see www.operamanhattan.com. We were not disappointed with the lovely Miss Meade. She sang beautifully, with an even tone throughout, clear coloratura, and a beautiful line, and she very clearly conveyed Norma's conflicting emotions.... [Keri Alkema's] duets with Miss Meade require more than one mention, so beautiful were they. The two women faced each other and sang perfectly timed parallel vocal lines with precision and care. A joy to hear. How was it doing Mercadante's Virginia (at the Wexford Festival, 2010)? I quite liked it, but Mercadante is quite difficult to sing. Mercadante doesn't write well for the voice, not lyrically. It's very instrumentally written. The big ensemble pieces are terribly written--they stay right in the passaggio the entire time and are gargantuan. Fortunately they made some judicious cuts. They could cut twelve pages of ensemble, for example, and you couldn't tell the difference. The first aria is the only thing I had to really work hard to get it into my voice. I learned it for the audition, and they told me it was a step higher in the version they were doing. I thought, Really? So I worked and worked and kept telling them I wanted to do it in the original key, and then they finally got the parts just before the dress rehearsal, and lo and behold, it was in the original key. And then singing it in that key felt low suddenly! Is there any role we wouldn't associate with you you'd love to do (again)? I sang a lot of Mozart in school, and I hardly sing any now. I wish I did. I wish I could sing another Fiordiligi. The first role I ever did was First Lady, and I've also sung Queen of the Night. Madame Herz. Countess. I'd love to do an Elettra in Idomeneo, maybe even Clemenza. Nobody ever hires me for Mozart. In your position how would you push for more Mozart? What kind of roles that are associated with you would ilke to never do again? Everything I've sung I've really enjoyed. Even the Mercadante. Do you get to campaign for roles, perhaps some rarities that you think are interesting? I'm getting more into a position where I can ask in certain places. A role I'd love to do is Lucrezia Borgia. There's a lot of things on my list--I Masnadieri, I Lombardi, Giovanna d'Arco, Maria Stuarda--all sorts of things. I'm really lucky that I've been able to check so many things off my list. A few weeks after seeing you do Norma at Caramoor, I went back to see Maria di Rohan. Jennifer Rowley did a wonderful job with it, but I want to see you do it some time! I would like to do that role, actually. I would love to do it some time. Again, I do these things that nobody ever programs. It might be one of those things I can ask for as I have more influence. You said you don't read reviews. I try not to. It's better for my psyche. I think that's inevitable, but at the same time it's crazy. Two singers are not going to have the same take on the role--the same understanding, the strengths and weaknesses, different points in their careers. I understand why they make comparisons, but at the same time you should take it for what it is. 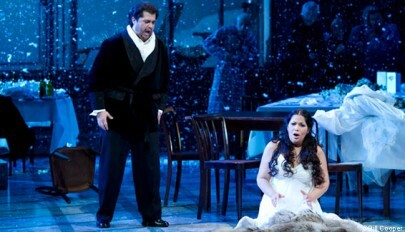 What would you do if you were not an opera singer? There were points when I thought I might not do this, but I honestly couldn't ever think of anything else I wanted to do. When I started college I thought about being a doctor, but it wasn't what I was passionate about. Music has always been what I was passionate about. I grew up singing in school and in church, and playing in band, although I was terribly shy. I wanted to get up and sing solos but was afraid of what people were going to say. Even to this day I find it easier to be on stage in a performance than to be in rehearsal. I think it's because in the moment nobody is going to say anything to you about it. [Question about others preferring rehearsal to performance] I like rehearsal--I'm a bit of a perfectionist, so I like being able to polish things-- but it's really the rush of getting out on stage. It's not even the applause--that's a nice byproduct--but it's being in the moment with my colleagues and having the music pour out of me. [Searching memory banks for interesting question, coming up with nothing, settling for a boring question] What is coming up next? I have a full run of Ernani, including the HD, at the Met. Then I have another role debut--I feel like I do a role debut ever other week! I'm not one of those singers who sings the same things over and over again. Sometimes I long to be one of those singers who only does Mimi and Musetta and nothing else. I sing Lucrezia Contarini in I Due Foscari at Deutsche Oper Berlin. And then I'm going back to Kiel to do two operetta concerts, and then we're into next season. I don't know what I'm doing over the summer--I had some plans but they fell through. Talking about learning new roles, what is your process? Or is it different depending on the role? It depends on the role. If it's a score that really speaks to me, something like Norma or Anna Bolena, I find it really quite easy to learn them. If it's something that doesn't quite speak to me, like Virginia--it did eventually, but on first listening, I was like What? !-- then it takes a little bit more of a process. I have to sit down and translate it (which I do for any role, of course) and listen to it a million times and plunk it out. It doesn't feel like it's as organic as the other roles. I take it to a coach, put it on its feet, see what the problems are, spend more time at the piano plunking it out. So with a role that does speak to you, how much time do you put into the learning process? Let's give a comparison. When I did Semiramide, I waited to long to begin--I took about three weeks to learn it. [Laughs] I see your eyebrow going up! And I felt like I should have started a year ahead of time. It was one of those roles that didn't fall naturally into my ear. It was my first Rossini, so I was little petrified by that idea. But something like Norma, I could have picked up and learned in three weeks easily. It didn't feel like something I had to learn. Like it was in my bones. I felt like I never even had to memorize Norma, like it was just there. You're in your early 30s. Has you singing changed over time? Have you had to make any conscious changes? Nothing conscious. I guess to myself I don't realize internally that I sound much different than I did ten years ago, but I hear recordings and I go, Oh! I sound totally different! I mean there are things I can do now that I couldn't do then--I think that's to be expected--but there's nothing I've had to change. I think my voice has grown and matured and become more technically sound. In your studies, were there any technical hurdles you had to overcome? I've been very blessed that I've always had a really natural way of singing. I've never been one of those people who ascribes to a certain technique by a certain teacher. I can't say I attribute my technique to any one person. My teachers have helped me out a lot with different aspects, polishing this or that. Do you see yourself after another 20 years of singing, guiding young singers? I used to think I'd be a terrible teacher for the very reason I just said--because I couldn't explain how I did what I did. I just opened my mouth and it would come out most of the time. I had no idea how I could tell anybody else that. As I get older and I think I figure some things out for myself, I think it's something I'd like to do. There are other aspects of the career that interest me--career guidance. The aspects outside of just singing. Packaging, competitions. All the exterior things that go into it on top of good singing. 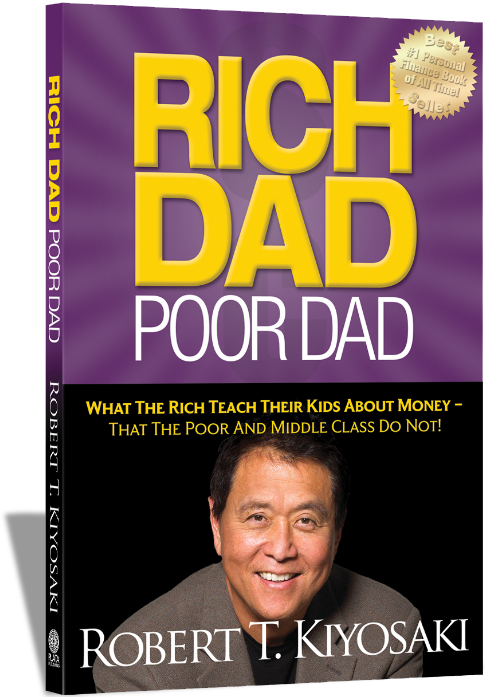 When you were in school did you have any training in how to actually build a career? No! That opens up a whole can of worms. I think there's a lot to be desired in the way we train singers in this country. We focus so much on technique and getting the degree that things like how to do your taxes as a singer are left to the wayside. How to find the resources to do competitions. What do you wear to an audition? How do you pick appropriate repertoire without your teacher's help? So many people are so dependent on a teacher and what a teacher tells them to do. I think you should listen to your teacher, but there needs to be an inner voice that says "Oh yes, I think I could do that well" I think a lot of singers just wander down the path and hope they are pushed in the right directions. Do you think some of that is encouraged by the way the system is now? Is there anything else you wish someone had told you? So many things! Every day there's something that makes me think "They should have taught that in school" Master classes with people, and how to find a manager, and how to choose a good manager, and how do you know when you need a press person, and who are good ones, and travel, and taxes, and all sorts of things! All of the stuff that has nothing to do with singing but is essential to having a career. OK, my default question when I can't remember the next one I wanted to ask: What sort of dumb questions do you get from people in my chair? I don't get a lot of dumb questions. I get the same questions over and over a lot, like "Tell me your life story." 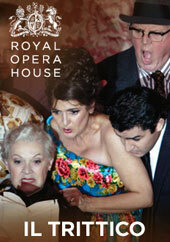 Willard White sings "I Got Plenty of Nuttin'" in the film adaptation of the 1987 Glyndebourne--Glyndebourne?!!! !--production, then Marietta Simpson as Maria gives Sportin' Life (Damon Evans--wait, wasn't he in The Jeffersons?) a piece of her mind. Simon Rattle is reported to have said in rehearsing and performing some of the choral scenes--and what great choral scenes!--he simply put the the baton down and allowed something he couldn't define lead the chorus and keep them together. Leontyne Price, who sang the role on tour throughout Europe, in a 1960 gala recording of Die Fledermaus, of all things, under Herr Von Karajan! Orlofsky: What aria would you like to sing? Leontyne Price: Do you know "Summertime" by Gershwin? Orlofsky: But Gerwshwin hasn't been born yet! Leontyne Price: I'll sing it anyway. In a separate note I read somewhere (no source, of course) that when Todd Duncan, the original Porgy, went to meet with Gershwin about this new musical he was writing, he was a bit suspicious. Gershwin played him the overture, and Duncan started out thinking this was a white, Jewish man writing music that might sort of sound like jazz. By the time they reached the end of the overture and "Summertime", Duncan was in tears. Just like me whenever I see this opera. I wish I'd had the time and money to see it in Seattle last May. If anyone in Seattle is reading, I write sorta good and love to go to other places and write about their operas! Dear Sena Jurinac left us this week, at the age of 90. She was a legendary singer, known for her many fine portrayals of Mozart roles. See the Wikipedia bio-blurb here. Tosca, 1966, Wiener Stadtsoper, Andre Cluytens, cond. Cesare Valletti (December 18, 1922, Rome - May 13, 2000, Genoa) was an Italian tenor, one of the leading tenore di grazia of the postwar era. He was much admired for his polished vocal technique, his musical refinement and elegance, and beauty of tone. Read more. First bit of good news: New Yorkers, this show is coming your way - and it's a winner. Deborah Warner's intelligent, poetic production of Tchaikovsky's "Lyric Scenes" looks fabulous, and without any radical "concept", it is faithful to the spirit and letter of the work. In any case, what's not to like about Onegin? (I refer to the piece, not the man - he is a bit of a pill to be honest). It takes a romantic view of its source material, but is never melodramatic or overblown. The score is achingly lovely, the characters expertly drawn and the dramatic pacing flawless. Each of the three acts has a "signature" dance - the Act 3 Polonaise being a particular jewel - around which the action is focused, Kim Brandstrup's choreography catching the individual tone of each superbly, especially in Act 2 where couples jostle for space in Larina's living room. It was particularly interesting to hear Onegin so soon after The Queen of Spades; dramatically they are worlds apart, despite the common feature of Tchaikovsky's music, wherein rests so much of the drama. Where The Queen of Spades demands a particular type of imaginative response from a director, Onegin can be presented in any number of ways. The piece takes kindly to straightforward, simple productions (or not - Dimitri Tchernaikov's controversial Bolshoi production is generally well regarded). Fans of Robert Carsen's production, which Warner's will replace at The Met, will appreciate the "austerity" approach well. For me, the benchmark production of this piece for me is Graham Vick's at Glyndebourne - spare, understated and painstakingly composed, it was enthralling and beautiful (anyone who saw Elena Prokina's thrilling Tatyana upending the water on her nightstand over her head at the end of the Letter Scene will not forget it in a hurry). Warner's production is not far behind in quality. Her work is characterised by a spartan visual aesthetic but enormous attention to detail, and she is renowned for her long and punishing rehearsal process. At ENO her work has focused on more unusual repertoire such as the successful St John Passion (and Messiah), the Diary of One Who Disappeared, and - best of all - Death in Venice. Onegin, therefore, represents a departure into mainstream repertoire for her. It is updated to the late 19th Century - the reasons for this are not clear, but it certainly does no harm. It is visually detailed and sumptuous, yet no detail feels extraneous or decorative. Tom Pye's designs are marvellous, each stage picture carefully composed to capture the mood of each scene. There are impressive video front cloths (icy landscapes for the middle act, or a breathtaking view of the St Petersburg riverfront for Act 3). He uses his trademark reflective surfaces and glowing cycloramas, and populates them with telling detail. The Larin estate is represented by a huge barn where Tatyana also writes her letter, which exercised others more than it did me; the Act 2 party looks authentically cluttered and "provincial", whilst the duel takes place in a lonely, frozen wasteland. The Act 3 curtain evoked a gasp from the audience - vast, golden columns with glittering candelabras framing the couples parading across the floor to that Polonaise. The same columns inventively become a bleak outdoor colonnade on the Gremin estate for the final confrontation. That confrontation is a reversal of the finale of Act 1 in Warner's thoughtful direction; after Onegin crushes Tatyana with his patronising lecture and returns her letter, he plants a lingering kiss on her lips before taking his leave. Tatyana does the same to him at the finale, pausing the action audaciously, before she leaves, every towering inch the Princess. Riveting stuff, along with the direction of the letter scene - Tatyana hardly writes at all, rather "rehearses" the speech to an imaginary Onegin, clearly something she has done many times before. There is a multitude of such telling details, along with detailed but unfussy treatment of the chorus. It is no mean feat for a production to appear so artlessly traditional, yet be crackling with dramatic tension . The cast was good, but not great. Warner's treatment of Tatyana is perhaps controversial, and Amanda Echalaz - an artist I admire greatly - is always fascinating to watch. Yet this Tatyana is a little too much like Princess Gremina in the earlier scenes, too little like the shy country girl, so her apparent terror at her party never quite rings true. She sings as generously as ever, and there are some beautiful moments - but I wonder if this is really the ideal repertoire for her (compared with her wonderful performances in Italian Opera) and indeed some cautious moments may have betrayed tiredness at this second night. I have to say that she looked a million dollars in her Act 3 ballgown (indeed, all of Chloe Obolensky's costumes were exemplary). Norwegian Audun Iversen as Onegin had an indifferent evening - he is pleasing to look at but hardly magnetic, and the voice lacks colour - this part in this house requires an altogether stronger performer (the last Onegin I saw here was Gerald Finley - enough said). The most successful performance came from Toby Spence's Lensky - an artist who can't seem to put a foot wrong these days and who grows from part to part. It was a fantastically nuanced, big-house performance with every word crystal clear. The translation, by the way, was by Martin Pickard - and at the risk of sounding too perverse - was somehow too prosaic. In a period production, taking the risk of using an altogether more poetic translation (as in that used previously at ENO - I believe by David Lloyd Jones) might lead to a better fit with the mood of Pushkin's verses. No complaints about the excellent supporting cast. 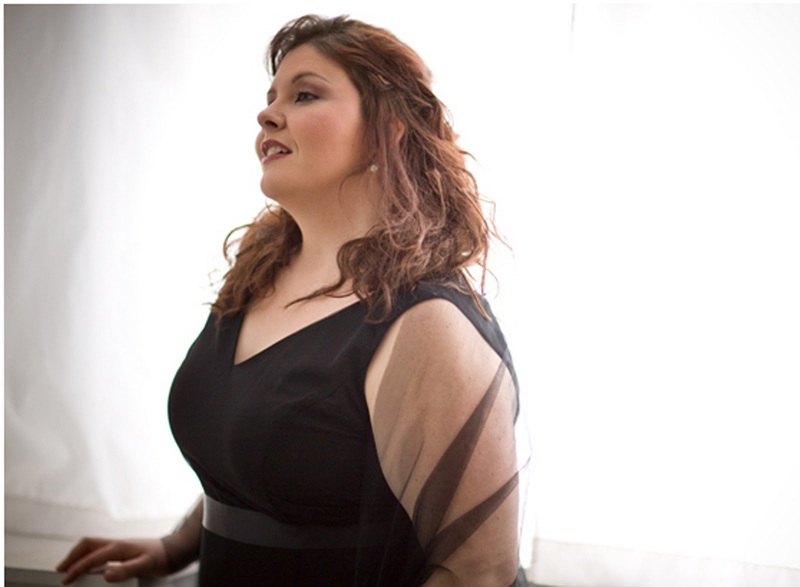 Claudia Huckle's charming Olga had a rich, authentically Russian contralto sound. It is hard to imagine a more glamorous, warm Larina than Diana Montague or a more expert Filipyevna than Catherine Wyn-Rogers; Brindley Sherratt's still-handsome Gremin was authoritative and dignified. Ed Gardner's music directorship goes from strength to strength - the orchestra played wonderfully well for him, and his pacing was spot on - another Tchaikovsky performance to treasure on the heels of Richard Farnes for Opera North. This show will go down a storm in New York (I hear rumours of Netrebko) - catch it there if you can't catch it here first - highly recommended. I would encourage you to look at as many clips as you can find. A true artist, a great singing actress. This was my first encounter with Bellini's gorgeous Alpine confection. A tale of innocent mountain folk wrongly accusing a virtuous maiden, the plot is the sort that gives opera as drama a bad name. Fortunately it is rescued by Bellini's consistently lovely music. One of the 19th Century's great melodists, his works are only worth tackling for a superb cast and conductor. I suspect Covent Garden's main reason for reviving Marco Arturo Marelli's 2002 production - itself originating from Vienna in 2001 - was to showcase the Amina of Cuban-American soprano Eglise Gutiérrez. As theatre, it is rather a curious affair. I can certainly understand why a director would seek to reinterpret the piece. It is dramatically fragile, turning on the gullibility (stupidity?) of the villagers - who impose a curfew for fear of the 'phantom' stalking the village, later revealed to be none other than the sleepwalking heroine herself. 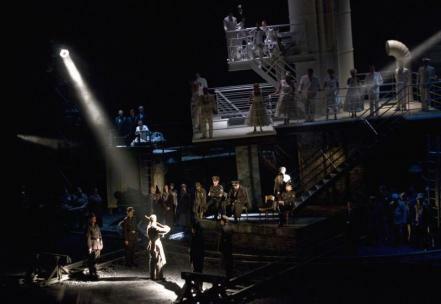 Mary Zimmerman took the same approach with her 2009 Metropolitan Opera production, set in a contemporary rehearsal room. Unfortunately, going searching for hidden meaning when there may be none to find can backfire, as happened here (and at the Met): Marelli's approach rather sent up poor Amina and her misfortune, rather than illuminating hidden dramatic depths. I understand that Bellini was inspired to write the piece after a spell in an Alpine sanatorium, and this is where Marelli's production is situated. The splendid setting is a handsome, spacious art deco foyer with a view to mountains beyond, invaded by the snow at the end of Act 1 and in great disarray by the second half. Elvino (Celso Albelo in his Covent Garden debut) begins playing the grand piano overlooked by a picture of his mother - echoes of Antonia in Hoffman, perhaps? - whilst well-to-do patients genteelly celebrate the forthcoming nuptials. The turn-of-the-century setting, with its Freudian undertones, would certainly fit with Amina as a patient receiving treatment for her nocturnal affliction, yet she turns out to be a member of waiting staff, seemingly subordinate to Elena Xanthoudakis' embittered Lisa, all of which rather upends the social hierarchy. 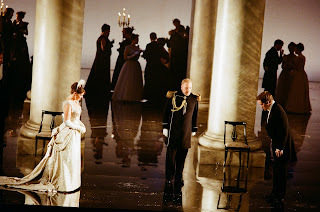 Elsewhere, Marelli flirts with abstraction, for example his use of the stage within a stage and especially at the end, where Amina doffs her nightwear in favour of a scarlet ball gown and sings 'Ah, non giunge' concert style before the house curtain. The result, rather than being smart and provocative, is a bit of a mess, though easy on the eye. And extremely easy on the ear. Gutiérrez followed her concert Linda di Chamounix and her adorable Fairy in Cendrillon with an astonishing performance in a role which plays to her strengths. Hers is a light soprano which carries well, dusky of hue and gossamer like, uncommonly beautiful. It extends effortlessly in altissimo and she employs her great technical prowess to spin Bellini's hallmark legato lines which appear to go on forever. Visually a buxom dead ringer for Netrebko, she was an appealing heroine. Now may we hear her in I Puritani? Albelo sounded nervous for most of Act 1, with some stiff phrasing and tuning problems, but later spun some more liquid tone. He produced some gleaming phrases at the top of the voice and is very musical. He is no Floréz though, and I'm afraid he's no actor either - his ineffectual chair- throwing at the climax of Act 1 bordered on the laughable. The dramatic lynch pin was Michele Pertusi as Count Rodolfo, tall and dashing of figure, and vocally without peer in this repertoire. Xanthoudakis got over a peaky, ill-tuned start to turn in an appealing performance as Lisa, whilst Elizabeth Sikora -always a dab hand for cameos - was vocally secure and dramatically warm as Amina's foster mother Teresa. There are few more experienced conductors of Italian ottocento repertoire than Daniel Oren, and he proved a very safe pair of hands here. A satisfying evening then, and One that whetted my appetite for Opera North's new Norma in the New Year. I can remember my last Opera North show in Nottingham vividly, even though it was in 1997. On that occasion I saw Aida, in the wonderful Philip Prowse production and starring the mighty Dame Josephine Barstow in the title role. Opera North is a great company and one I have often travelled north to see (last year's Maria Stuarda and Rusalka were a highlight of the year). The Dame herself was one of the reasons I made the trip this time, for a reprise of the role of the old Countess - the one time "Venus of Moscow" - which I had heard her sing at Covent Garden some years ago. New productions of Tchaikovsy's beautiful, hallucinatory masterpiece are usually worth travelling for. This version, by controversial director (and opera neophyte) Neil Bartlett, opened last month to a lukewarm critical reception. I can see why, as far from being controversial, it was notable for its lack of excitement or invention. The piece deals in obsession, madness and the supernatural, and invites an imaginative response from a director. Richard Jones managed it spectacularly in his 2001 Welsh National Opera production - one of his best - as did Graham Vick, with his Gothic vision of hell for Glyndebourne in the 1990s. Bartlett can't seem to decide where his production is pitched. Kandis Cook sets it in a plain gold box. Perhaps it would be charitable to describe its aesthetic as 'economical', with occasionally handsome period costumes and some sticks of cut-price furniture. There is never any sense of grandeur or of the surreal, and the Act 2 ball is a very flat affair, the "stage" for the pastorale (with its tacky light bulbs and parlour palms) being a scenic low point.The chorus direction shifts uncomfortably between the stylised - singing some lines straight at Herman (giving "voice" to his paranoia, if you will) - and the stagy, concert style, facing out front. The direction of the principals falls flat at some key moments, yet there are other where it snaps thrillingly into focus. Herman's pivotal encounter with the Countess in her bedroom (admittedly one of the best constructed scenes in all opera) is one such. It is played as a seduction, with far more physicality and with a sexual frisson I have never seen before in a scene where the poor lady is usually frozen to her seat. Yet the scenes between Herman and Lisa lacked any sexual chemistry at all (my friend rather unhelpfully described "Alexei Sayle getting it on with Janine Duvitski", an image which unfortunately stayed for the rest of the evening). Musically we were on far surer ground. The orchestral performance, under music director Richard Farnes, was quite wonderful - much of the drama takes place in the score and Farnes nails both the grand romantic sweep and the wealth of creepy detail (check out the muted strings and bass clarinet in the countess's bedroom scene - incredible musical painting). It is given in English, in a really intelligent and singable translation by Bartlett and Martin Pickard - a vast improvement on the arch and archaic version ENO used in their last revival. Whilst there were surtitles, the soloists' diction was really superb and we could easily have done without them. Impressive. The singing was of a high standard, with some exceptions. Jeffrey Lloyd-Roberts added to his gallery of Opera North antiheroes a role that at times taxes him sorely. It's a huge challenge - the part has an big range and is very long- and at times his unusually forward, "white" voice production is cruelly exposed. That said, he nailed most of the exposed high notes, and his commitment cannot be faulted. Poor Orla Boylan looked an absolute fright in some of the most unflattering outfits and wigs I have seen in a long time, and she was poorly directed. Such a shame, as she flooded this medium sized theatre with plush, vibrant sound at the big moments, and she has musicality to burn. It was wonderful to hear veteran Jonathan Summers, perfectly cast as a seedy, boozy, seen-it-all Tomsky (coincidentally the Amonasro in the 1997 Aida!). William Dazely sang Yeletsky's aria superbly. Hampered by another spectacularly unlovely wig, he lacked charisma, although it was perhaps one of the saddest and most touching portrayals of this thankless role I have seen. Special mention, too, of Alexandra Sherman (it must be odd for a Russian to sing this music in English - but she did so perfectly) who gave an idiomatic and darkly beautiful rendition of Paulina's aria, and for Fiona Kimm's Governess - a veteran performer who stole her short scene. The best thing about the show by a mile? Dame Josephine as the Countess. 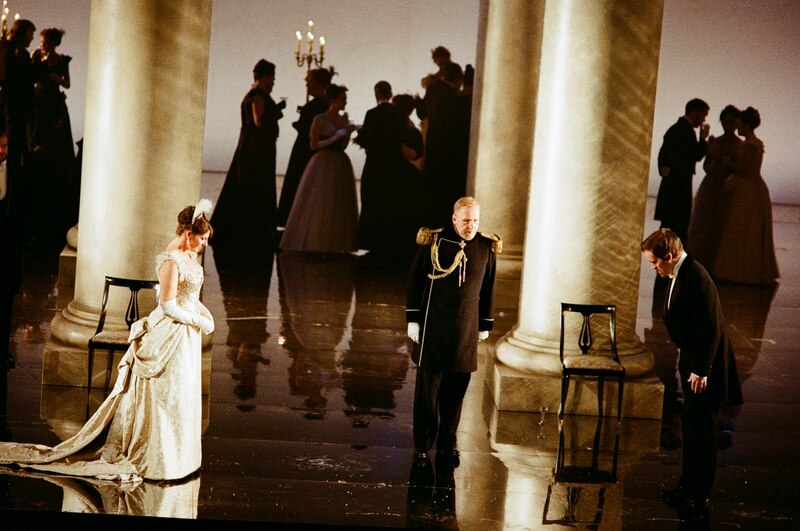 She is a singer I have admired ever since I saw her Katerina Ismailova at ENO in 1991, Her Opera North Gloriana is widely regarded as definitive - as is Phyllida Lloyd's production - and certainly one of the best portrayals of anything I have ever seen. She brings her many years of acting experience to bear here. Exuding magnetism, she is cynical and seductive - a close relative of her ageless Emilia Marty with a twist of Salome. Her voice retains its covered, commanding quality - her barked orders to the servants send a chill down the spine - even if it has diminished in volume over the years. I had the huge honour of meeting Dame Josephine after the show. She is charming, and utterly self deprecating. It made an average production into an evening to treasure. But here is a fine example of how Mr. Kunde has grown and evolved as a singer as he has grown well into middle age (he is now 57). This is from this year--I Vespri Siciliani. Venue is not given, but apparently it's in Turin, because I can find DVDs of this performance available online. Pollione in Norma, Warsaw, 2010. Sadly, it's audio only, with sketches from another Norma production. Giudici ad Anna? Ad Anna?!!!!!!! I was delighted when I first learned the dear Metropolitan Opera was to produce Anna Bolena this season, and indeed Mr. Donizetti's entire Tudor Trilogy of Anna Bolena, Roberto Devereux, and Maria Stuarda over the next three seasons. Not for nothing do I call myself a bel canto bear. I love the music of Donizetti--the melodies, the operatic flow, the mad women. He doesn't disappoint. I've written about Anna Bolena before. I've also written about Angela Meade before. In a nutshell I'm a fan of both, and I was thrilled to be able to see Miss Meade sing this role. I'd listened to the streaming broadcast of the Met's opening night of Anna Bolena with some other chick. In all honesty, I think Anna Netrebko is a very fine singer in the right repertoire, but I have my doubts about whether Anna Bolena is the right role for her. If I'd had any any doubts about Miss Meade and this role, they would have been completely laid to rest after last night's performance. I wondered whether her singing was a little tentative in her first scene, as there were many floaty high notes but not many high notes of any volume, which can be a sign of trouble in some singers, but from "Giudici ad Anna?!" on I was sure she had her feet underneath her, and I was treated to lots of full-throated high singing and fiery temperament. I can't compare her performance dramatically to that of Nebs, having only seen this one, but vocally I was not disappointed at all. A surprise change was hearing the Giovanna Seymour of Katherine Goeldner, in for Ekaterina Gubanova. I thought Miss Goeldner's singing and acting were beautiful. She has a full mezzo voice of impressive range and power, and I was quite happy she was our Giovanna. I hadn't been very happy with Miss Gubanova in the broadcast on opening night. In her duets with Enrico and with Anna, Miss Goeldner sang beautifully and gave a powerful performance dramatically, no doubt bringing out the strengths of Miss Meade and Ildar Adrazakov as Enrico. Although I'd heard and read reports that Mr. Adrazakov lacked dramatic impact as Enrico, I did not find him stiff or lacking in dramatic temperament, particularly when paired with Miss Goeldner. I can't say I'd heard Stephen Costello very much before recently, and in truth I do think his voice is a little light for the role of Percy, but I also think that most of his singing last night was among the best I've heard of him. After a tentative start, he soared in the duets and ensembles. I quite liked Tamara Mumford, graduate of the Met's Lindermann Young Artist Program, as Smeaton. I see great things for her in the future. And international shirt-taker-offer and baritone Keith Miller sang beautifully as Rochefort, leaving me wanting more. Also of his singing. The Met chorus was predictably amazing, and the orchestra, in spite of one or two glacks and some overpowering moments, shone as well. Although I usually don't have any complaints with conductor Marco Armiliato, at times it seemed he was mentally following the other cast from the pit. Were I the soprano, his head would be the one to come off after the way he treated her final cadence, or lack thereof, in "Coppia iniqua". The McVicar production. Visually stunning. I loved the design, the costumes, the moveable set pieces. I liked how it seemed that Enrico's and Giovanna's costumes became more colorful as their sin, as it were, grew more flagrant. I liked the proper use of the stage elevator for the sets. This is the Met doing big stage machinery right, so that one is not distracted wondering what the set is going to do next as in certain other recent productions. I quite liked the appearance of the executioner in the final moment as the set for Anna's prison chambers descended and he was standing on the floor of the set above. I liked the sudden drop of the blood-red curtain, and liked having the executioner remain in the very same spot through the extended and appreciative curtain call. What didn't I like? I didn't like bits of blocking, notably the repeated unassisted kneeling and rising, that were clearly designed for another soprano, so that the Queen of England was forced to rise unassisted and look a little awkward doing so. Even if the Queen of England were as lithe as a gymnast, she wouldn't rise unassisted. I also didn't like the fact that the Met, which is known for not taking even traditional cuts in most operas, shortened Percy's arias and cabalettas considerably. These are small quibbles. Overall, I think the Met has a fine production on its hands, and I hope we see it enter the repertory for many seasons to come. I look forward to seeing many more fine performances from Angela Meade and Katherine Goeldner at the Met and elsewhere. And I'm happy to see Mr. Donizetti getting his due more and more. How long before we see La Favorita at the Met? Belisario? Poliuto? Dom Sébastien? OK, I have a car and can go to other, more adventurous opera companies and fantasize about a more adventurous Met. Dicapo Opera Theatre opened its 30th season with Mr. Puccini’s Tosca, a sure audience draw, on October 6. Dicapo has long been one of New York’s “stepping stone” opera companies—one where young singers gain experience and resume credits, and audiences are happy to see season after season of mostly familiar works, with some unusual or rarely performed works thrown in every now and then for spice. I was happy to see the October 14 performance. Read the rest at Opera Pulse. This production of Mieczysław Weinberg’s The Passenger (1968) represents its first staged production (after a concert premiere in 2006). It was premiered in Bregenz in 2010, and although I was at the festival last year I didn’t take the opportunity to see it, as it was planned as a co-production with ENO for transfer to London this year. It had its ENO premiere last month, to a mixed critical reception – having received plaudits at Bregenz, and there are further revivals planned in Warsaw and Madrid. The enterprise is very much the brainchild of David Pountney, intendant of the Bregenz Festival, who seeks to champion the works of this little known Polish composer. The Portrait (1980), also given at Bregenz, had its UK premiere at Opera North earlier this year. But it seemed right that The Passenger should come to ENO, where Pountney was Director of Productions during the “Powerhouse” era of the 1980s, in many ways changing the face of British opera forever. How exciting that he will now be taking the helm of Welsh National Opera – where, I learnt this week, productions of Anna Bolena and Roberto Devereux are slated for 2013 and there are rumours of a Ring Cycle in the future. Back to Weinberg. A Polish Jew, he escaped the Nazis by travelling to Russia where he was both admired and heavily influenced by Shostakovich. His style was seemingly also influenced by Britten. His oeuvre includes seven operas (eight if you include one operetta). I’m not sure if Pountney plans a cycle of all of these, although on this evidence he is unlikely to achieve the coup he pulled off with Janacek years earlier, for Weinberg has no such gift for lyric theatre. The Passenger, based on a novel by Auschwitz survivor Zofia Posmysz, certainly has dramatic potential. Liese, a German woman in her 30s, is embarking on a new life in Brazil with her older diplomat husband Walter. On the ship she sees a mysterious veiled woman – The Passenger – whom she believes she recognises. She confesses to Walter her previous role as an overseer in Auschwitz, hitherto a secret, and that she thinks The Passenger is Marta, a Polish prisoner whom she thought had been condemned to the “pitch black wall of death”. 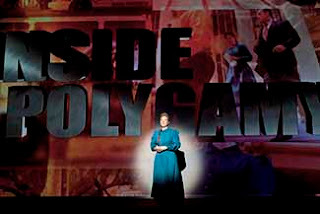 The opera cuts between the ship – and the impact of Liese’s revelation on hers and Walter’s relationship - and Auschwitz, where we discover the stories of a group of female prisoners as well as that of Marta and her violinist fiancé Tadeusz, whom she discovers is in a different part of the camp. Alas, it is dramatic potential unrealised. Weinberg is no Janacek, and The Passenger is no From the House of the Dead. The central relationships are strikingly underdeveloped, and it takes exceptional skill to translate the horrors of the gulag to the stage – think of the road to Siberia at the end of Shostakovich’s Lady Macbeth of Mtsensk. His attempts to inject black humour (again, this needs the audacity of his Russian counterpart) – such as the three “comic” SS Officers in the second scene – fall flat. But ultimately it is Weinberg’s lack of skill as a composer that prevents The Passenger from becoming a masterpiece. The dramatic pace is deathly slow, even in the second act where the scenes are shorter. Musically, two distinct worlds emerge: the ship – airy strings interspersed with jazz sections which again imitate Shostakovich – and the camp, mostly crashing dissonance, thuds of percussion and screeches of brass. There are remote, dissonant choruses reminiscent of Britten’s War Requiem, including a disembodied male chorus which serves little discernible dramatic purpose and whose moralizing lines sound crashingly trite in English. There is a dearth of invention and of singable vocal lines. Too often, these are monotonous, rhythmically unvaried and ungratefully written. Liese’s music is colourless, mid-range mezzo stuff, whilst, Marta’s is often punched out in the upper part of the soprano register. Not until an unaccompanied Russian folksong (sung by prisoner Katya in the middle of the second act) do we hear a vestige of a melody that moves the heart; the ending is very weak indeed. The Passenger herself – silent on the ship and never actually identified as Marta – provides the most striking dramatic device, and the most powerful moment for me was in Act Two. Liese and Walter attend a dance on the ship at which The Passenger asks the band to play a waltz; this turns out to be the Auschwitz Kommandant’s favourite. We cut headlong to the pivotal scene in the camp where Tadeusz is ordered to play that very waltz for the Kommandant (see second photograph), but breaks into Bach instead: for his insubordination, he is sent straight to the extermination cells. Yet the scene is an anticlimax, almost underwritten; Marta’s subsequent apotheosis is both strident and understated at the same time. The piece could hardly have received a better premiere production. Pountney opts to tell the story clearly and cleanly. It occurred to me that Pountney and prison camps are well acquainted, and not only from his seminal House of the Dead and Lady Macbeth productions. I have a vivid recollection of his ENO Königskinder in the 1990s, the children in their Auschwitz-style costumes falling one by one among the barbed wire at the finale, and of the shoes lining the forestage in his 2000 Nabucco at the same house. As with the score, the two worlds in the production are neatly divided. At the start we are faced with the brutal buffers of two railway lines – unmistakably the iconic one-way tracks to Auschwitz. The ship inhabits the upper portion of the set, airy, platforms of “deck” around the white funnel, sparkling before a golden horizon. The camp is ingeniously represented below with two “railway” trucks which variously represent different areas of the camp, including the tiny cells of the female barracks. 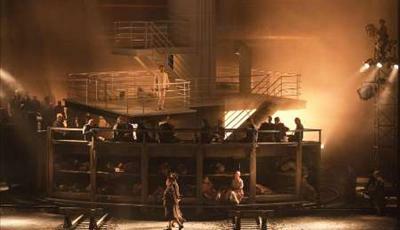 Characters – either is SS uniforms or threadbare, striped prison garb – both emerge from the shadows and are picked out in harsh searchlights. Pountney’s directorial style has mellowed over the years, but his sheer skill demonstrates his vast experience. The cast is mainly excellent, though for me there was a significant exception in the person of Michelle Breedt’s Liese. This South African mezzo, new to me, has a vast concert repertoire, but lacked the vocal and dramatic charisma to bring Liese’s conflicts to life. Her medium size mezzo is competently produced and her singing correct but perhaps the lack of variety in the vocal lines translated to her performance. I was left thinking that ENO had missed an opportunity, and wondered what the likes of Sarah Connolly would have made of it. As Marta, Giselle Allen gave a characteristically committed and at times thrilling performance. I have long admired Allen – her Opera North Jenufa, Ellen Orford and Rusalka were hugely exciting – yet this music pushed her feisty spinto too often into into hardness, and left her precious little opportunity for lyrical expression. Elsewhere, some wonderful performances in lesser roles. Leigh Melrose is virile as Tadeusz, and Kim Begley – enjoying character roles after a career of the heavy Wagners – is effective as Walter. I loved Helen Field (Pountney's Violetta in the 1980s!) as the “Old Woman” prisoner driven to shrill distraction. Excellent work too from regulars Rebecca de Pont Davies and Pamela Helen Stephen, and from new names Rhian Lois (bell-like as the French teenager Yvette) and Carolyn Dobbin (immensely touching as Greek prisoner Hannah). This project is a noble enterprise, and one I am glad to have experienced. But it is Weinberg’s writing that renders it, ultimately, a piece unlikely to take hold in the mainstream repertoire, with a score that – like those iconic railway tracks – goes nowhere. Final performance on Tuesday October 25th, London Coliseum. I was surprised to learn I hadn't posted about this before. Those who read me on Facebook and Twitter (see links by the side) know that I've been producing a project through Opera Manhattan Repertory Theatre. 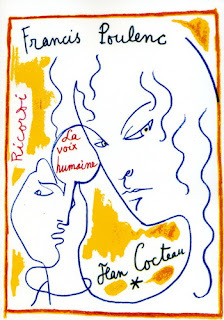 The project includes Mr. Poulenc's La Voix Humaine and two monodramas by Thomas Pasatieri, Lady Macbeth, based on speeches from the play we dare not name, and Before Breakfast, based on a Eugene O'Neill monodrama. 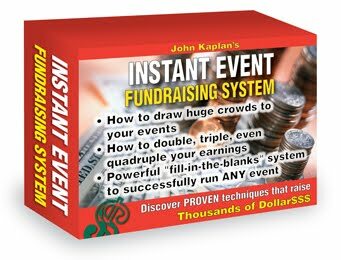 I've set up a RocketHub crowd funding page at this address. There's more information at the link. The dates of the performances are Feb. 10-12, 2012. We have a wonderful cast of young, rising singers. I hope you'll consider helping to support us. Think of it as buying tickets now rather than then. The good news is that Rocket Hub is international, so that all the Russian bots that find my blog somehow will be able to contribute rubles. 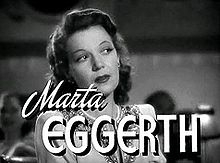 Thanks to Ken Benson for turning me to to Martha Eggerth. What a babe! What a phenomenon! Please read the Wikipedia bio about her and view these clips and others. J. Strauss, Jr. Frühlingstimme, movie not mentioned by the YouTube poster. Once again your intrepid reporter has hit the road, or in this case the friendly skies, to catch some more exciting opera. 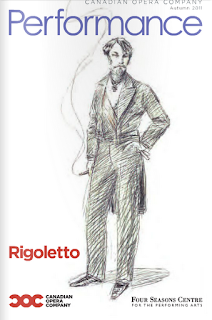 I hied me to Toronto, which is really just a hop, skip, and a reasonable airfare from NYC, to see the Canadian Opera Company perform Mr. Verdi's Rigoletto. I saw the matinee on Saturday, October 8. The opera is double cast, and the principals I saw were Quinn Kelsey as Rigoletto, David Lomelí as the Duke of Mantua, and Ekaterina Sadovnika as Gilda. Based on M. Victor Hugo's play Le roi s'amuse, this is the familiar story of Rigoletto, a hunchback court jester in service of the wanton young Duke. When the courtiers find Gilda, the daughter he has kept hidden, they abduct her and deliver her to the Duke, igniting a tragic chain of events when Rigoletto seeks vengeance. I can not think how I have failed to mention Lucine Amara before now. This grand lady sang at the Met 41 seasons! 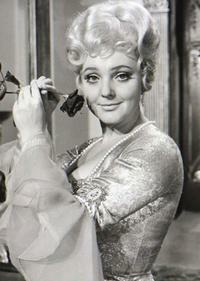 She made 882 appearances in 56 roles there! Who does that now? Unfortunately there aren't enough videos of her singing. Here are some highlights. It was another operatic weekend for your faithful correspondent, concluding with a delightful production of Mr. Bernstein's Candide presented by coópera: Project Opera of Manhattan and The Players Foundation. This was the second of two performances, which is unfortunate. The production deserves a wider audience. Candide is based on Mr. Voltaire's 1759-ish novella of the same name, mocking some of the ridiculously optimistic philosophers of the Enlightenment and their naive amazement at human tragedy and the evil that man does to man. How could a benign God, ruler of the best of all possible worlds, allow such things to happen? One often hears the same question today. 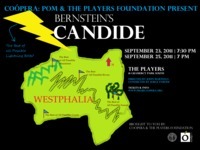 Several versions of Candide have been produced since its premiere as a musical in 1956 with a book by Lillian Hellman. We saw the 1974 Hal Prince revival (the "Chelsea Version", for the theater where it premiered) with a rewritten book by Hugh Wheeler and lyrics by lots of folks. If this review spills over into hyperbole, I make no apology, for I had been looking forward to this production for years. I have long admired Puccini's Triptych, never having understood why it isn't better known and more frequently performed - I suppose the fearsome demands it makes on a company taking up the challenge would probably explain the latter. Still, there have been some high profile international productions in recent years and I have been fortunate to see complete performances at ENO in London (twice) and at the Met (with the late, lamented Salvatore Licitra), along with assorted productions of the single operas elsewhere. I still feel it would make an overwhelming evening at Glyndebourne. Enough! This new production at the Royal Opera is most welcome and anything by Richard Jones is worth seeing. I greatly enjoyed his gloriously dingy, Fellini-lite production of Gianni Schicchi when it first saw the light of day at Covent Garden in 2007 in a double bill with L'Heure Espagnole. That occasion marked Bryn Terfel's first stab at the title role. This revival (differently cast as below), with the addition of new productions of Il Tabarro and Suor Angelica, represented a new version of the Triple Bill as a whole. Golden Age Singer of the Week--Beverly Sills as Anna Bolena x 3! I look forward to seeing the MET's production. 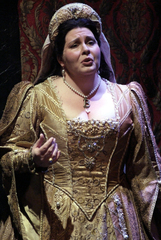 I adore Anna Bolena, and I'm OK with Nebs. I heard the streaming audio of her role debut in Vienna last spring, and there were some perfectly glorious moments. I have heard good reports about this show, and look forward to seeing it, both live and in the movie theater. I can not imagine how it is that I have never featured Lucia Popp in this blog before. She has long been a great favorite of mine, and a singer of amazing beauty and grace throughout her short career. It makes me sad she is no longer with us. Please to be reading about her life here. We are fortunate that YouTube abounds with examples of Lucia Popp's singing. I coujld post gazillions of videos, but these three will suffice. Today, boys and girls, we are going to study the wonder that is Francisco Araiza. His singing career took off in the 1970s, and I first heard him in the 1980s, when I myself. was a student of singing. I recall the wonder with which I watched on TV as he sang Don Ramiro in La Cenerentola at the Salzburg Festival. I also recall the wonder with which I, studying in Salzburg that summer, saw on TV some feature about singers and athletes and medical exams--I don't recall exactly, and I'm not sure I understood at the time--and saw for a few moments his shirtless torso. I have included him in earlier posts, but this is the first post dedicated to him. Here is his Wikipedia bio, and here is his web site (auf Deutsch). Now for the singing! My review of Giasone at Opera Omnia for Opera Pulse. On Saturday, Sept. 3, I had the pleasure of seeing what Opera Omnia (operaomnia.org – two performances remain, on Sept. 6 and 7) can do with Mr. Cavalli’s popular 1649 masterpiece Giasone at Le Poisson Rouge in Greenwich Village. This is Opera Omnia’s second outing, the first being The Coronation of Poppea in 2008. The economic downturn prevented the group from producing anything else in the intervening years, which is a shame. If an opera company can specialize in early Baroque opera, beautifully sung and creatively staged, accompanied by a fine early music ensemble, and make it laugh-out-loud fun, I say more power to them! I've written before about the divine Virginia Zeani. (See tag below for link to other posts.) I just came upon this clip of her performance in the Italian premiere of Mr. Menotti's The Consul (Il Console) at Spoleto in 1972, so how could I resist posting it? The YouTube link is here. It contains more information from dear CharlotteinWeimar, a wonderful lady and great source of Zeani clips. I quote some of the information below. There is also the original English text and clips of English performances by other singers. [This] was the first time Zeani had been seen dressed in drab clothes and flat shoes as an unglamorous heroine, However, having lived in a Communist regime, from which she had escaped to political asylum in Italy, she identified herself completely with the role and portrayed it with penetrating intensity. Zeani sang the role for Menotti in the Spoleto Festival in 1972 and again in the Maggio Musicale in Florence. She received ecstatic reviews and it was one of the greatest triumphs of her career. Forgotten Austrian soprano Gertrude Grob-Prandl (1917-1995) sings Ho-jo-to-ho from some opera or other. No date or other information given for the recording. It has often occurred to me that the classic novels of Jane Austen would lend themselves particularly well to an operatic setting, her pale-faced heroines wrestling with their inner emotional turmoils in much the same way as the protagonists of Puccini, Strauss, and Verdi. The same thought has occurred to that most prolific and successful of British contemporary composers, Jonathan Dove, who along with regular collaborator, librettist Alasdair Middleton, has created a most enchanting and audience-friendly adaptation of one of Austen's best-loved works, Mansfield Park. The work is conceived as a chamber opera given in two acts, scored for ten soloists and two pianos. The northern-UK based company, Heritage Opera, who in the last few years has successfully toured a number of small-scale productions of core repertoire works, often in reduced orchestral or pianoforte arrangements, to stately homes and heritage buildings in the north of England, has commissioned Dove to write the opera, and now present the London premiere of the work following a short UK tour earlier this month. In fact, London audiences only got their chance to see this work at very short notice, due to a last-minute cancellation in the small but enterprising Grimeborn Festival in Dalston, which just over a week ago was the scene of violent rioting in the capital. They were rewarded with an outstanding new masterpiece of lyrical and emotional beauty, at once accessible, tuneful and beautifully staged and presented by Heritage Opera, who in turn were rewarded with a well-deserved ovation from a full to bursting capacity audience and much critical acclaim. Another operatic road trip! A day trip to Cooperstown with my constant opera-going companion and BFF BS. Really, those are his initials. I wouldn't presume to comment on them. We saw the August 13 matinee of Carmen at the Glimmerglass Festival. Having been there two weeks ago and reporting on some amazing shows that weekend, we expected a terrific Carmen. We all know about Carmen. Soldier falls for gypsy girl who herself falls in and out of love with the regularity of an M60 bus. It doesn't end happily for anyone except the bullfighter. Then again, operas aren't often written about happy people. Mr. Bizet's opera was first performed in 1875 at the Opéra Comique, and kept with the opera-comique tradition of spoken dialogue rather than sung recitative. The initial run in Paris was a failure, largely because it strayed from opéra-comique convention in many other ways, but in other cities where such conventions were not expected by the audience and critics, the opera was a great success. In the years since 1875 various composers have attempted to replace the spoken dialogue with recitative, and nowadays we commonly have Carmen performances both with and without spoken dialogue. Glimmerglass gave us the version with the spoken dialogue. Tito Gobbi singing "Va, Tosca!" from Mr. Puccini's masterpiece, Tosca. Apparently an excerpt on a French TV show. This is an excerpt from the 1964 ROH Covent Garden production Tosca Act II that was televised on the BBC. Here is Gobbi's Wikipedia bio-blurb. I love Mozart and Donizetti for the clarity, order and passion in their music. 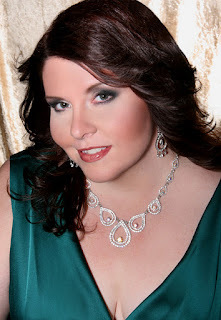 In my own blog, I call myself a bel canto bear in a verismo world. I thought upon these things as the melodic and ordered strains of the Medea overture struck my soul in the way that Wagner strikes those of some of my friends. Medea was first performed in 1797, a few years after Mozart’s death, and one can easily hear that Luigi Cherubini was of the same generation as Mozart–although he lived long enough to see Wagner’s and Verdi’s works performed. The story is based on the play of Euripides. Jason has met and married Medea on his travels in search of the golden fleece, but upon return to Greece is given the hand of King Creon’s daughter, Glauce. They say Hell hath no fury like a woman scorned. Medea could well be the woman they had in mind when that truism was first uttered. The weekend of July 29 and 30 I ventured to the Glimmerglass Festival near Cooperstown, NY, for the first time. I saw four shows in two days, and left wanting even more. I was happy to see the two shows I discuss here for Opera Pulse. I reported on the other two shows I saw in my blog. First up was a double bill of new one-act operas on Friday evening. It's getting to be a summer full of operatic road trips. Your intrepid reporter and his bud hit the road once again, this time to spend the weekend with Debs at Glimmerglass. Well, maybe not with Debs. But Debs and I have a thing going on. We've been sending each other passionate messages on Twitter for ages now. And of course we're on first-names basis. OK, everybody else in the world calls her Debbie, but I'm very special to her. Really. What? One of the joys of blogging and tweeting--and indeed, any sort of life as a cyberjunkie--is finding like-minded individuals whom one would welcome as real-life friends, often people we might not ever have met. One such is Ed Beveridge, who tweets as dredbeveridge. Not only is he accomplished in his own field, but he is an avid opera lover, and he agreed to report on his trip to Bregenz to see Andrea Chénier. I am happy it appears Ed saw it the night that dear Arnold Rawls sang the title role. The New York Times said the following about Arnold: "Chénier, long a cherished role of Italian dramatic tenors, finds a creditable exponent in the American tenor Arnold Rawls, whose voice has an easy flow in midrange yet rang out excitingly in the big, high-lying moments." Once again, to serve you, my adoring public, I hit the road on Sunday to enjoy some opera and to write about it. I ventured deep into the Garden State to see Opera New Jersey's presentation of Gian Carlo Menotti's The Consul Sunday afternoon, as well as their presentation of a staged reading of Thomas Pasatieri's new work The Family Room Sunday evening. Both were at the McCarter Theatre Center at Princeton University. Mr. Menotti's The Consul was first performed in 1950. 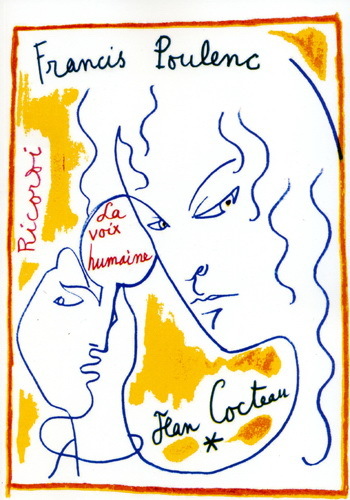 The story takes place in an unnamed European country, where John Sorel, a political dissident, is forced to escape the Secret Police of his country's oppressive regime, and his wife Magda must jump the bureaucratic hurdles necessary to obtain a visa to emigrate to the country where Sorel expects to find protection. Needless to say, it doesn't end happily. Dear Coloraturafan has been posting some amazing complete performance videos on YouTube, for which we are eternally grateful! A great example is this, a 1970 Verdi Requiem conducted by Mr. Abbado, with quite a quartet: Renata Scotto, Marilyn Horne, Luciano Pavarotti, and Nicolai Ghiaurov. Wow! I'm still on a Guillaume Tell kick, after having seen it last weekend at Caramoor. I do wish I could have seen the second performance for comparison, but it was not to be. I offer you this week some prime clips of the daunting tenor aria "Asile héreditaire"